Built for adventure and not afraid of mud, the Jeep Renegade is a great choice for drivers who want an SUV with real presence that can handle itself once the tarmac runs out. Just as comfortable in town, the Renegade has room to seat five comfortably, ingenious storage spaces and a host of innovative equipment. 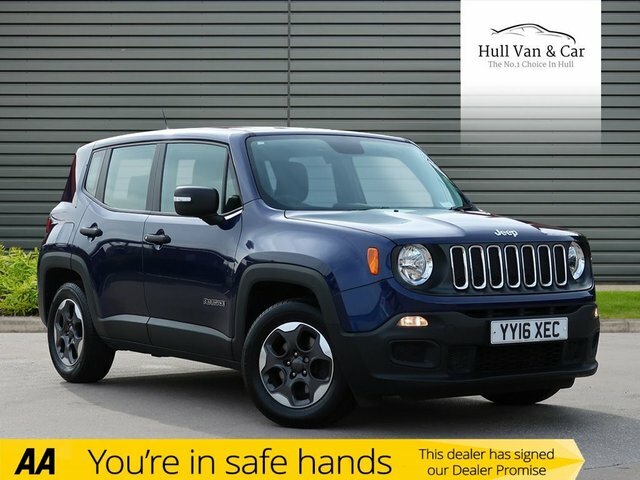 Discover more about the current range of used Jeep Renegade models for sale in Kingston Upon Hull by getting in touch with a member of the team at Hull Van & Car Co. Ltd. Be sure to view our current stock here on the website before arranging a test drive.